There’s a reason why World Net Daily is one of the top news websites in the world. 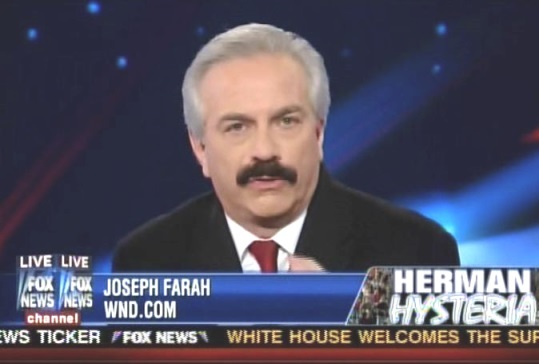 It’s simple, it’s called ‘common sense’ and this guy Joseph Farah is a master of it in a world that’s losing it. He was even formally rebuked by the House of Representatives. What got Wilson riled up back then was Obama’s promise that his signature health-care law would not cover illegal aliens. 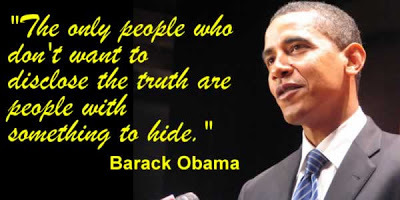 Posted by Joseph Farah at WND on September 2, 2010 – Barack Obama made this statement recently in his weekly televised address to the nation. You can see it for yourself on the White House website. The context in which Obama said it had to do with his notions of campaign-finance reform. As usual, he was accusing someone else of wrongdoing – in this case, and as in most cases, Republicans. Yet it’s refreshing to hear Obama utter even one coherent sentence that is essentially true. The trouble with this one is how it applies to him. I’ve been saying for two years or more that when politicians hide the truth, there’s a reason for it. Obama confirmed that fact. Now, who is it in high public office in Washington who seems most determined to hide at nearly any cost the most basic documents we would ordinarily expect to see from a president? More than a year ago, WND reported on the extensive list of documents Obama as refused to release publicly.